Descendants theory: Descendants theory: Who is Jay's mother? These are all my Descendants theories, have fun! 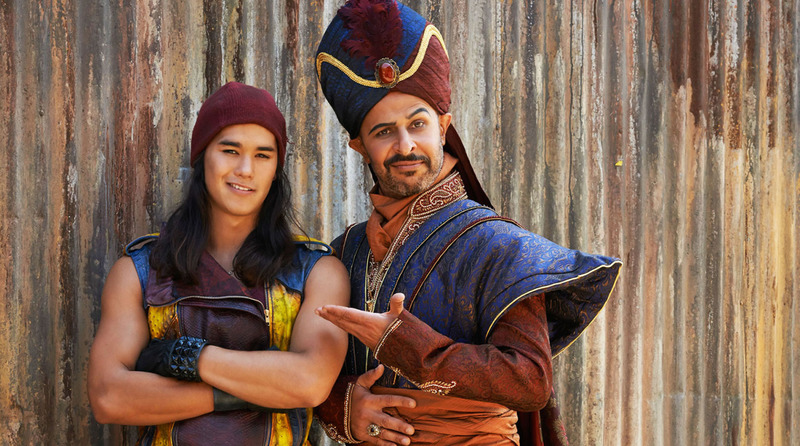 Descendants theory: Who is Jay's mother? Hello there again! Today I'll find out Jay's mother for you. As a bonus, I'll give you an explanation of Jay's family tree. "Don't look at me, I don't even have a mother..."
Now, Jay is always very specific. If you check his lines in the movie, you see that he never beats around the bush. "Don't look at me, I don't even know my mother..."
2) Jay mentions his cousin Jade, also on the Isle who is Nasira's daughter. Since Jay must have known his mother, he would refer to Jade as his (half)sister if this case were true. "But they aren't villains. And Jay was conceived on the Isle of the Lost, you know: the prison of all Disney VILLAINS. Edgar from the Aristo Cats stole cats and was send away to the Isle of the Lost. 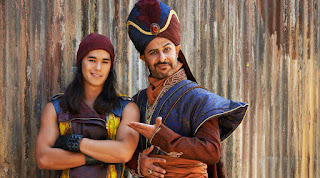 Aladdin stole more in one day. Something's seriously wrong with law and order in Auradon. Anyways, I think that the girl in the pink outfit from Jafar's harem joined him on the Isle and then died somewhere between four and twenty years later. This is my theory on who is Jay's father. Please let me know your thoughts about it! 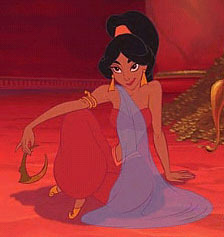 There is one thing bugging my theory: many people say they appear as bridesmaids on Jasmine and Aladdin's wedding. Making it appear like there are no hard feelings. But the sequels don't appear in the Descendants Universe, as is proven by Anastasia Tremaine being there even though she is redeemed in Cinderella II and Cinderella III: A Twist in Time. Who is Harriet, Harry and Calista Jane's mother? Who is Gaston Jr., Gaston III and Gil's mother?